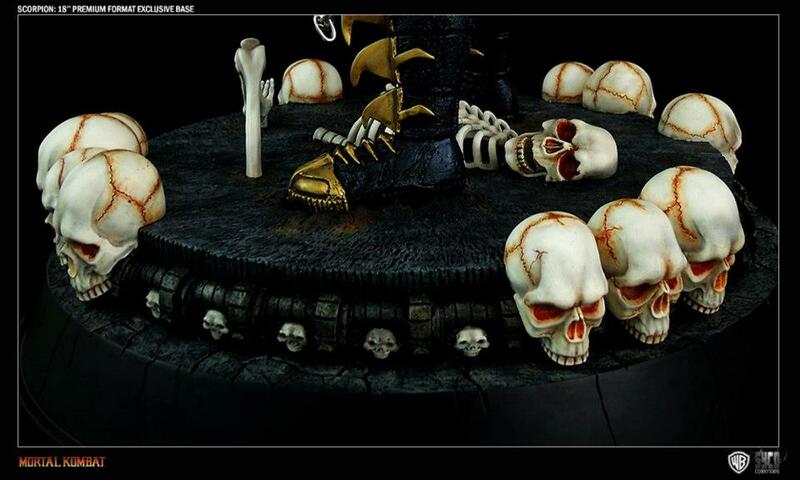 Syco is releasing a Mortal Kombat 18″ Exclusive Edition Scorpion Statue. the statue features an all new base to set the statue on. 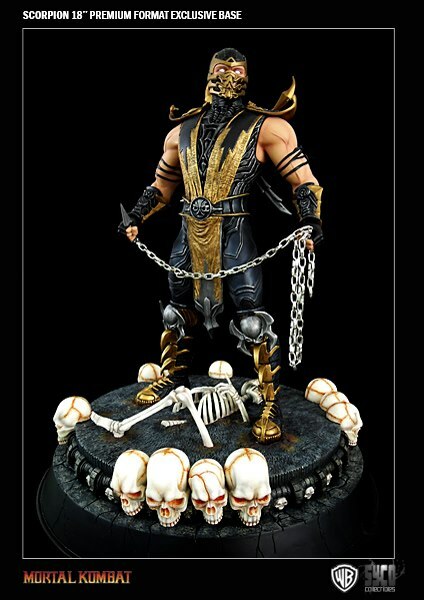 The base itself will also be sold separately for those that want to use it with the previously announced Scorpion 18″ Premium Format Statue. 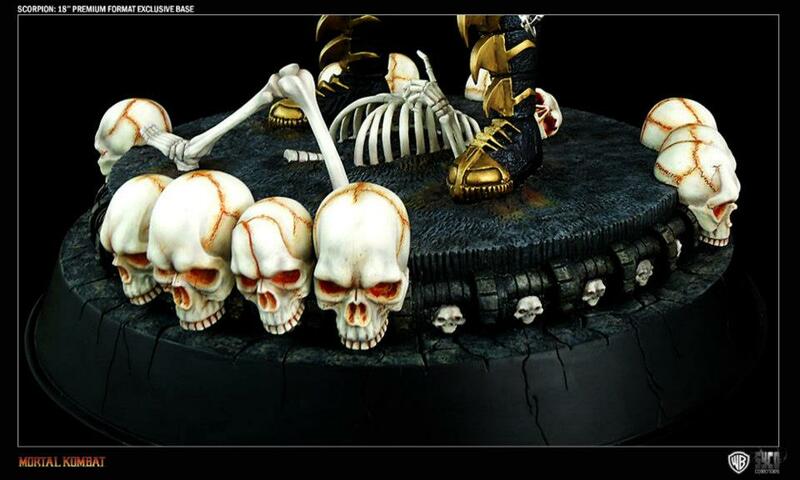 We are proud to present you with the complete images of our Exclusive Scorpion 18′ Base! The sculpt has been completed and production is well underway! 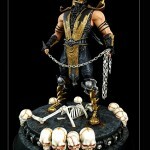 The Exclusive version of the Scorpion 18′ Premium Format Statue is $399.99. All customers that have ordered the Standard Version can upgrade to this version by sending an email to: syco.prod@gmail.com Please, make sure to write ‘Scorpion PF Exclusive Upgrade’ in the subject and make sure you give us your Name and/or Order #. Also, we have decided to offer fans the chance to purchase the base separately. For customers that have ordered the Standard version you have the opportunity to purchase the base on the side. The base will come complete with the battery housing and the electronics so that you can simply put your existing statue onto the base and the light up function will work. Cast in high-quality polystone, each piece is hand-painted and hand finished to outstanding quality. 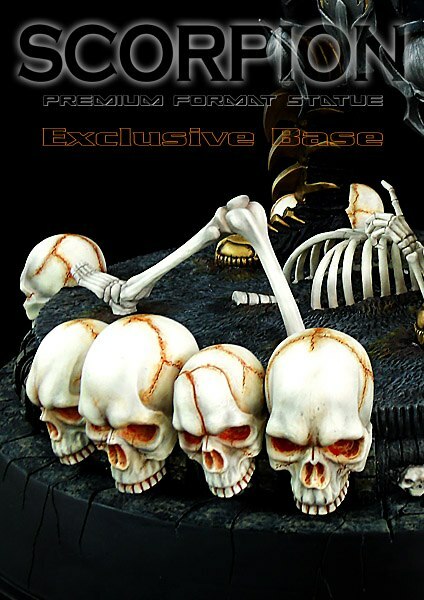 This Exclusive Version comes with this highly detailed base and its 4 inches tall and 16 inches wide. For those who order only the base, the product will be shipped out separately from the statue and packaged in its very own full colored box. 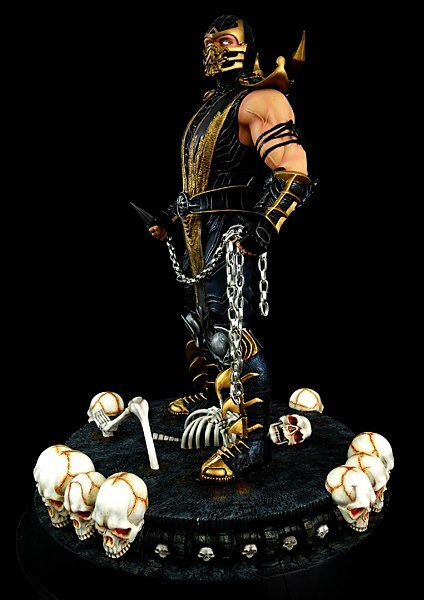 This will ship out after your scorpion statue and therefore once you have received your statue you can tell us what Edition Size you have and we will match the base to this, so that you have a matching set.